Who makes you grow bigger or ceases growing yourself? That’s you. The theme of today’s interview is kind of extreme; A challenge to Marissa Mayer. Marissa Mayer, a woman who became CEO of Yahoo! at the age of just 37. She is awesome and no one disputes that. But there are many young female corporate managers in Japan as well. 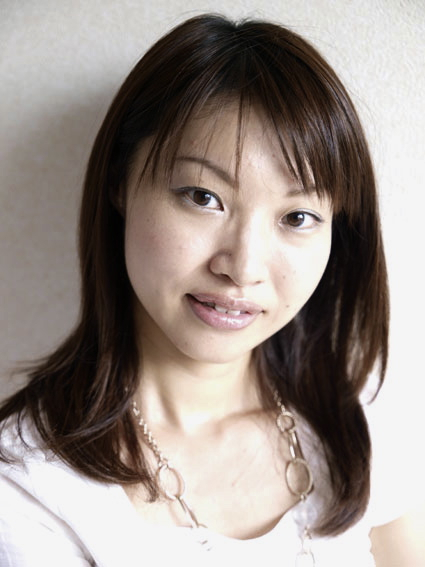 Ayaka Sugiyama is one of them, she is an executive director of Kawakami Sangyo Co.Ltd, a manufacturer of bubble wrap which is known by its nickname “Putiputi” in Japan. 1. Appearing on stage at live houses. Not a hobby. She’s released some CDs. *Video of her performance: Click! 2. Acting as MC at events. She doesn’t feel timid at all even though she hosts the events with big-name talents. 3. Hosting the radio show! She takes control of a 30-minute live broadcasting perfectly with guests. She said with a smile, “My staff may think that I just hang around”. But that is not fun, those are PR activities for Puti Puti bubble wrap. However she seems to enjoy that work more than anyone. Bubble wrap itself used to be only for packing, but she focused on its hand feeling – you want to pop them once you touch bubbles – and turned it into various toys. Also she created cute and brilliant bubble wraps with feminine ideas, which means she turned something for packing into a wrapping sheet. On the other hand, she used to be involved in the development of core material of solar panels which were created by applying structures of bubble wrap. How a pretty woman who entered a macho material manufacturer beat her path and became the first executive director for the company… My Eyes Tokyo wants every single woman in the world to read her story! Born in Kanagawa Pref, Japan. After graduating junior college in Tokyo, she entered Kawakami Sangyo Co.Ltd in 1999. ● Opened “Putiputi Shop” which sells bubble wrap products that used to be only for industrial use to the public. 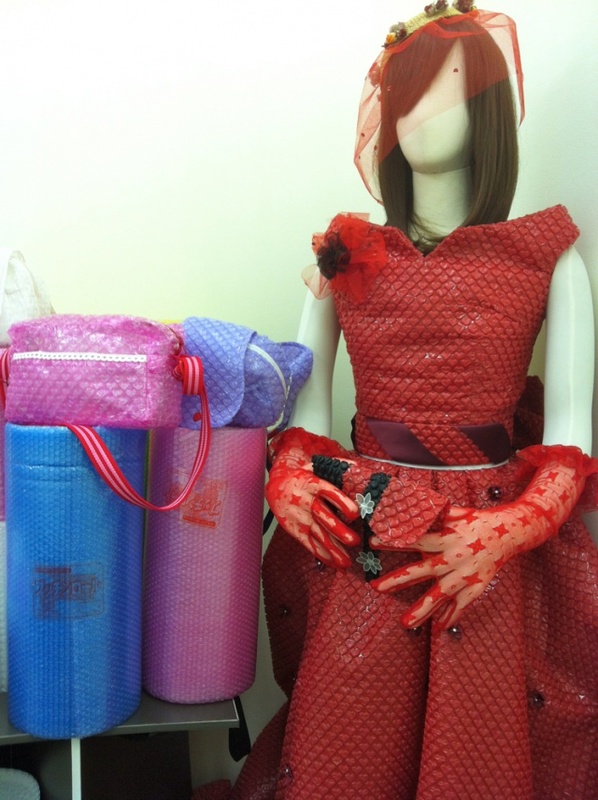 ● Established “Putiputi Culture Laboratory” in order to promote the appeal of bubble wrap. ● Won the Nikkei Woman Of The Year 2008. ● Worked as a unit leader of solar panel project with JAXA, Japan Aerospace Exploration Agency. Photos by Kawakami Sangyo Co.Ltd. I had no experience of singing in front of people or appearing on stage before my band was formed. So you may wonder why I perform. But I was confident about doing it because the name of the band is “Putimetal” which sings only about Putiputi bubble wrap. I thought that I’m the best person for talking about cute wrapping sheets made from bubble wrap, appeals of bubble wrap, its structure etc. So to me, singing is almost the same as the explanation of the product. It all started from a meeting with a band called “Gypsy Queen“. Gypsy Queen was formed in 1997. They are based in Japan, but they’ve performed in Asian countries including Laos, Brunei and Mongolia over 120 times in total. I met them by chance at a cherry-blossom viewing which my friend invited me to in the spring of 2005. I was interested in going to Asia, especially Thailand where I went to many times during my school days, so I clicked with them quickly. Soon after I met them, I took photos of their performances, was in charge of front desk and sometimes joined their drinking parties. But when I accompanied their tour around China with the intention of a trip, I got so stimulated. Then I’ve joined all of their concert tours as a staff. At the same time, Putiputi Culture Laboratory, which promotes the appeals of bubble wrap, was turning out a book about the products. I told Aki, a bandleader of Gypsy Queen, about that and he said to me, “If you publish a book about bubble wrap, how about making a song about it?”. That was an ordinary idea for him because he is a musician, but it was an amazing one for me. I said YES and he made a song very quickly. Then Aki assembled band members and the band “Putimetal” which I joined as a vocalist was formed in August 2005. I’ve been singing on stage since then. I’ve never turned work down so far. But normally you may refuse that kind of job. However I didn’t because I think I yearned for people who express themselves. When I was a school girl, I wanted to be a professional shogi player, anchorperson at a TV station or video journalist. I believe that the our company’s image as a shipping supplies manufacturer has changed and staff, everyone was free to say what they thought and a lot of ideas came out after I entered my company. Fortunately I engaged in developments of various kinds of goods and some of them became big hits. But I’m not a person of ideas. A person who has a lot of ingenious and unique ideas is Hajime Kawakami, our president. He’s been suggesting ideas from a long time ago but staff shrugged off his ideas because they thought he was joking. In that sense, I’m a person who listens to funny suggestions from him seriously and casts them into shapes. But I think I have realized about only 30% of all his ideas. I’ve addded cute stuff and my little ideas on his creativities. I feel it also contributed to creating an open atmosphere. Now many staff bounce ideas off each other regardless of age or post. We are becoming a company which can realize them. Right after I entered a junior college, my acquaintance asked me to create websites. I had no experience in it, but I’d loved PC since I was an elementary school kid and taught myself how to make websites. After I graduated college, I was still doing a web creation job. I enjoyed it and did it freely, but I felt something; “I’m not fit to tasks that have to be pushed along by inches”. I complete things very quickly, which means I tend to pay no attention to pursuit of quality. So I thought that I would be able to show competence in giving directions to much skilled designers as a director or producer. I don’t think I knew well what a director was or what a producer was like at that time. I have one more episode regarding my creativity – I attended a beauty school at the same time I was a college student. And I learned something soon; I love cosmetic things but I like to make myself beautiful much more than beautifying someone else. I experienced a lot of failures and knocked my head against a wall. But I was not satisfied unless I did it once I got interested. So I think it’s important to take half a step forward and try it if you want to try something. Then you can learn the gap between adoration and reality and your inclinations towards the jobs which you are interested. Then I was inclined to produce something or work at a company in order to widen my view through such experiences. I started job hunting a short time after I graduated college. I wanted to enter a company such as; 1. Producing goods that I know 2. Medium-size 3. Their website is not so cool 4. Blue chip. I looked for a company which met some of my requirements. I grabbed a membership list at the Tokyo Chamber of Commerce and Industry. I was only 20 years old so I thought its members must be blue chips. Members were listed in order of the Japanese syllabary and I found the name of Kawakami Sangyo straight away. Their business content was “Production and distribution of Putiputi”, that’s it. The word “Putiputi” sounded very interesting. So I checked their website and… lol Kawakami Sangyo met all of my conditions so I told them that I wanted to work there via e-mail. In 1998, people didn’t use e-mail very much and our company had only one mail address at that time. But I sent an e-mail to them so a person who received a mail told the president about me, then I had an opportunity for an interview. If our business content was written on the list like “Production and distribution of buffer material”, I paid no attention to that company at all. Also, there were no companies elsewhere which I got interested in. I feel I’m linked with bubble wrap by fate. I loved computer but I didn’t have enough skills to be a programmer. As for web creation, I didn’t have enough skills to work at a website production company. So I was going to do any kind of assignment. I told them at an interview that I had an intention of experiencing anything like sales or clerical job, then working on tasks which I would be able to make use of my experience of web creation. So I was really happy when I received an offer letter from them and the thought of my future thrilled me. In April 1999, I joined Kawakami Sangyo. I was assigned to the president’s room because they thought that it would be possible to make a website while I worked as a president’s secretary. I could be involved in website creation from day one! Also I could have links with sales, engineering, plants, staff and others of those departments thanks to working with the president. Every time I was going to realize an idea or launch a project, I got to know whom I should ask. I could learn that at an early stage so it was a really valuable experience for me when I look back. An entry-level Sugiyama working with Hiroshi Nakamura, current advisor of Kawakami Sangyo. 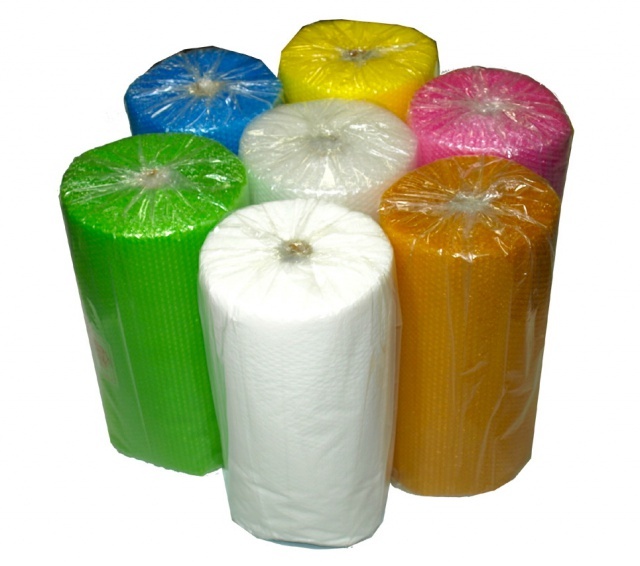 Bubble wrap is a product which protects fragile stuffs from shock and pop with fingers. Everybody may grab it and pop bubbles. Of course I did, too. But only a few people know more about it even though it’s used in various kinds of businesses or industries. 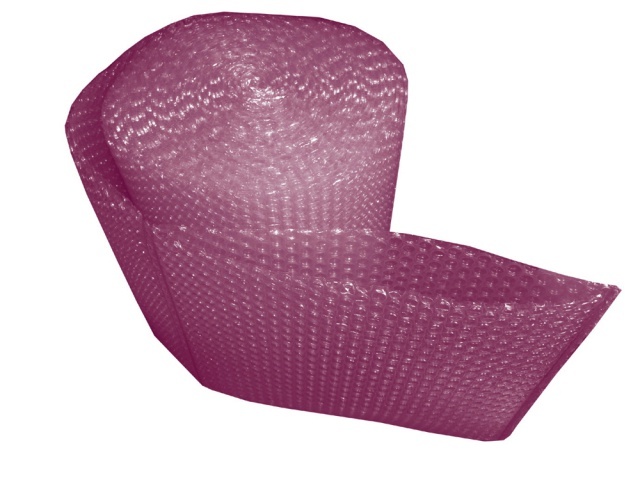 Everybody knows the existence of bubble wrap, but only a few people know about it well. I thought that kind of gap was interesting. 80 – 90% of all bubble wraps are sold to Japanese major companies that have their factories in Japan through sales agencies. And 10 – 20% of our products are sold to people at home centers etc. But bubble wrap users gave us inquiries directly after I renewed our website. And soon after that, Yahoo Auctions became fashionable among ordinary people and they asked us to sell small pieces of bubble wrap to use for sending products to winning bidders. But manufacturers have a taboo against selling their products to consumers directly, so we introduced them to their local shops which sold bubble wraps every time we had inquiries. If they had no home centers near by, we introduced them to their local packing material wholesalers. But it was really troublesome, so I asked the president if we could do an Internet mail order business. He gave us a green light. Then we opened the “Putiputi Shop” in 2001. As I mentioned before, there was an industrial taboo so we focused on the business-to-consumer transaction. And we brought out the new goods called “Puttin Roll” and “Puttin Bag”, that are used at home in a convenient and fun manner. In addition, we put out another new product called “Puttin Sukatto” which is only for popping. We launched our online shop with those three items. Then I got involved in product planning & development. I wanted cute bubble wrap products! Wrapping material is kind of “unnoticed but a reliable operative behind the scenes”. But I wanted to make a cute one which would be able to take center stage from wrapping material. I didn’t feel comfortable unless there was no cute items. Many people have suggested the ideas of making heart-shaped or star-shaped bubbles. I heard that kind of idea was suggested when Kawakami Sangyo was established in the late ’60s. Also some of my friends and family members suggested the same idea when I told them that I was going to work at a bubble wrap manufacturer. But why had those not been commoditized? It was because of technical difficulties and my company wondered who would be users of them. But we managed the shop for a year and got to know the existence of women who were looking for wrapping materials on the Internet and retailers who wanted to display their creativity in wrapping. 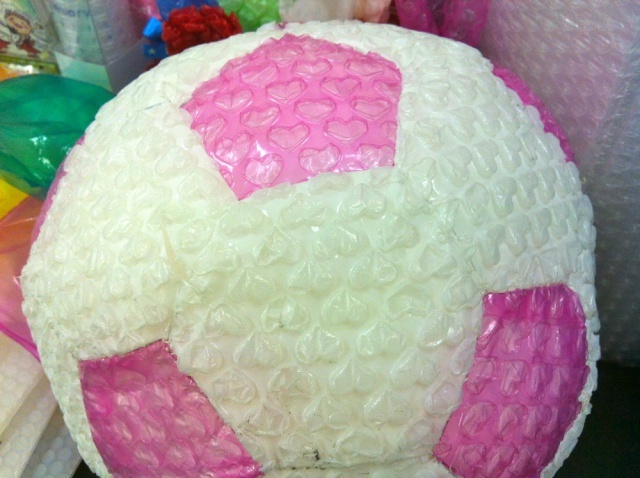 I shared that kind of information with other staff and I wanted to make heart-shaped bubble wrap, engineers supported my ideas. Of course that became possible because I interacted with engineers on a routine basis. That was one of the advantages of being attached to the president’s room. Those are made from packing materials! Soon after I joined the company, the president came up with an idea of setting the “Putiputi Day” and I began to work on it quickly. I gathered opinions from staff and they said August 8 would be appropriate (August 8 → 88 → Pronounced “Hachi Hachi” in Japanese → Sounds similar to “Putiputi”). And I tried to make contact with Japan Anniversary Association in order that the day may be certified as an official anniversary even though they didn’t have their own website at that time in 1999. Thus we received media coverage and I was in charge of corresponding with them. Media covered us when we made a heart-shaped bubble wrap called “Heart Puti” and I responded to them because I was a projector of it. Then the unwritten rule like “Ask Sugiyama when media request for coverage” spread among our staff. I got to know the existence of a job called PR belatedly in the process and I felt it was fun. Planning, test production, output, publicizing and selling the product, then recycling it. A set of these processes is like a story and I play a role in it. So I must have something to tell people. Not only publicizing products, but also telling stories of items – I feel a vocation for the task. “Expo 2005” was held in Aichi Prefecture. Its theme was “Nature’s Wisdom” and the slogan of our company is “We’re good friends with air”. We’ve been making bubble wrap which is non-polluting when burned, so we got an offer to participate in the expo. I took over as a project leader of it. The reason was very simple, because every staff transferred the call not only from media but also other people to me. I recall that I received a phone call from the expo organizer through another staff, but anyway I became the spearhead for the project. Expo 2005 was held between March 25 and September 25, 2005 and we exhibited only for the first month. We displayed “Putiputi House”, which was made from bubble wrap, outside the pavilion. Also we held “Putiputi Workshop” inside the pavilion. About 100 staff participated in the project and I led the team. It was really tough. We had to make something which was strong enough to withstand wind and rain for a month from bubble wrap, and it must be appropriate for this world-class event. Ideas like making a dinosaur with bubble wrap were generated, but finally we settled on the idea of a bubble wrap house. We tried to make stuff from bubble wrap besides carcass. I was in my fifth year at the company, so I made a lot of mistakes on the schedule control of staffs etc. But it’s a precious memory of mine because I had a valuable experience. 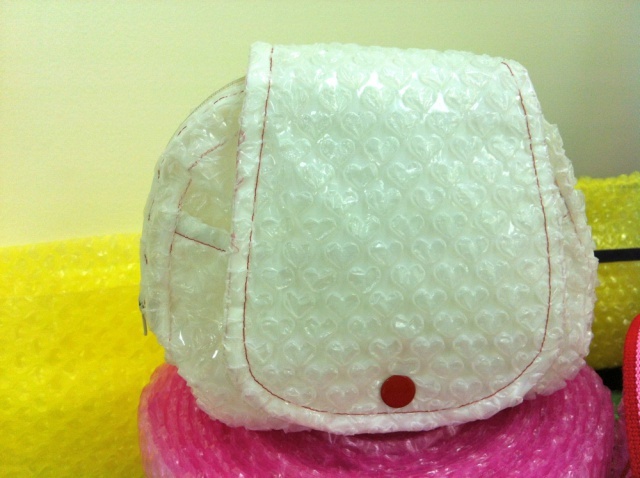 In 2006, we published the “Putiputi Official Book” which was written all about bubble wrap. Then the toy called “Mugen (Limitless) Putiputi” was released in 2007. It was produced by Bandai, one of Japan’s largest toy manufacturers, because Bandai staff learned the appeals of bubble wrap and found many products related to bubble wrap such as various kinds of goods, books and songs. They really got interested in our company and gave us a prod. 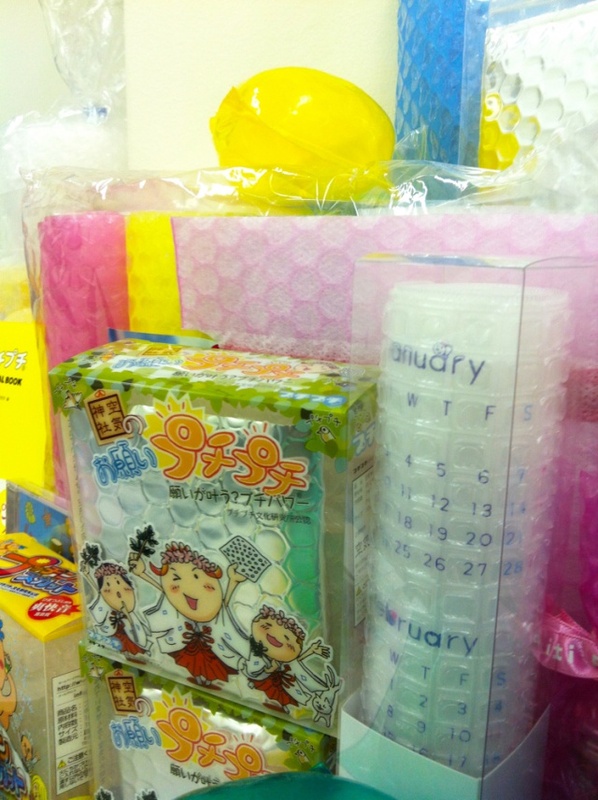 Mugen Putiputi was exported to the US, Europe and Asian countries and set an astonishing record of 3 million toy sales. And I won the Nikkei Woman Of The Year 2008. I became a board member of Kawakami Sangyo the end of 2007, and assumed the position of the executive director in March 2011. “Mugen Putiputi”, you can enjoy popping infinitely. But I’ve never tried to change the atmosphere in our company in a strategic way. Also I’m not like young brilliant people who start their own business with taking risks. I’ve never pushed myself, I’ve climbed stairs and each stairstep was the right height for me. And those stairs were made by people who’ve supported me. So I want to make steps for younger generations. Also the musical activities with the band “Gypsy Queen“, which I mentioned the name before, have blossomed into interaction with other Asian people. And that kind of experience or titillation became really useful in my career. I feel the things which are underlying are both creating my own music and manufacturing or musicians and businesspeople are the same because I know both. There is a quote “Endurance makes you stronger”. And I know in my bones that a dot and dot will definitely connect with each other, so I believe our activities will come into bloom in more fields. 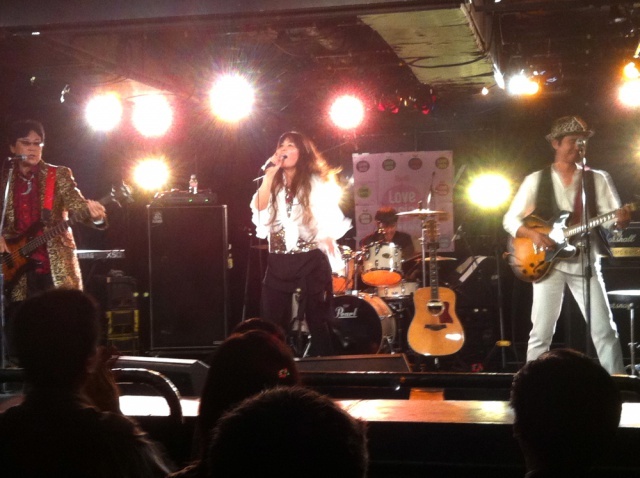 Performance of Gypsy Queen at Love Asia Vol.18. A slogan of “Love Asia”: “Unify Asian nations through music”. 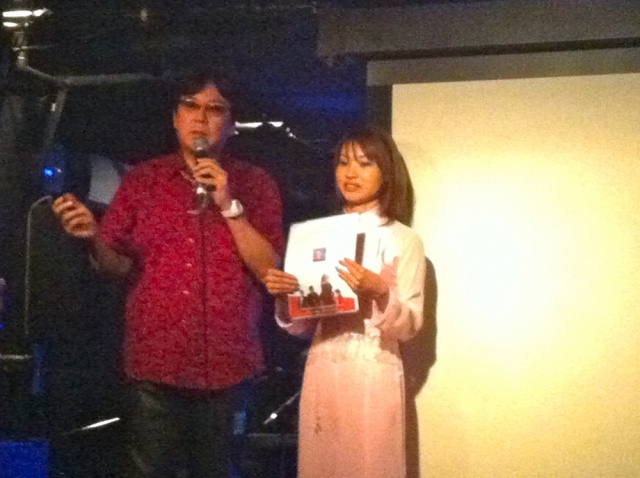 Vivi is a producer/MC of the event. When I became a board member of our company, I said only “I’ll do my best”. It doesn’t mean I feel good about myself very much, but I don’t feel much pressure. l’ll do my best to play my role, that’s it. Also I’ve never refused any assignment or said “I cannot do that”. I didn’t say that there would be more appropriate person when I received appointment as a project leader of the bubble wrap house for the Expo 2005. It may relate to my policy “Take a half-step forward first, think later”. I can do that because I believe that people will help me and cover them even if I make mistakes. I truly trust my staffs. I want to do it before searching for a reason why I can’t do it. I have made this point by doing that day after day. I owe what I am now to that. Through our activities, ordinary people got to know about bubble wrap and our company as well, the number of new recruits and female staff has increased. Some of our female employees joined us because they read my interview articles. Sometimes I receive invitations to be a speaker. What I tell people is; “Be honest to your feelings and desires, and speak those out loud”. What you feel sets the environment and leads to product developments. And let me repeat that; Take a half-step forward first, don’t define your scope of work. Who makes you grow bigger or ceases growing yourself? That’s you. With Gebhard Sengmuller, an Austrian artist who was involved in development of “Very Slow Scan Television”. It can draw pictures by injecting color inks in each bubble. Kawakami Sangyo got the machine from Sengmuller. There’s one more important thing; “Make a rapid about-face once you find your weak point(s)”. In order to do that, you need to develop the kind of receptivity, see many kinds of things and talk to various kinds of people. As for me, I was very quick to snap out of it, so I was not drugged by my weak points and so have been able to come this far. And you need to have high motivation. As for me, I want to accomplish things which my descendants will feel a sense of pride in 150 years from now. I love information technology, but I want to put people’s hearts ahead of it. Putiputi Shop (Japanese)：http://shop.putiputi.co.jp/ *Their shop on Rakuten (Japanese) : Click!